A varied trail offering about an hour's walk between ice-age escarpment and patches of calcareous groundwater fens. The trail is marked with wooden signs and blue paint marks on trees. Parking facilities Parking for one big or three small buses or five cars in the parking area at the information board. Amenities Stairs take the visitors down the terrace. 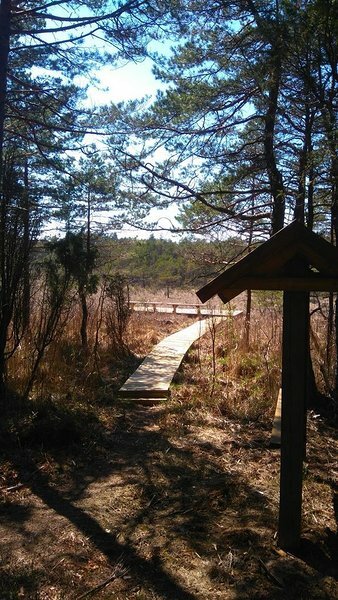 Near Allikasoo fen and petrifying springs there are view platforms and information boards introducing the area; boardwalks help visitors over the excessively wet fen patches. 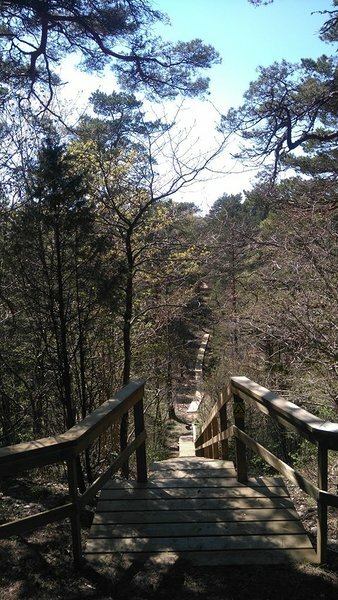 Sights The trail is in Viidumäe Nature Reserve; it goes down the nearly 18-metre escarpment at Lake Ancylus. At the foot of the escarpment there are calcareous spring fens, which emerged after the Ice Age. 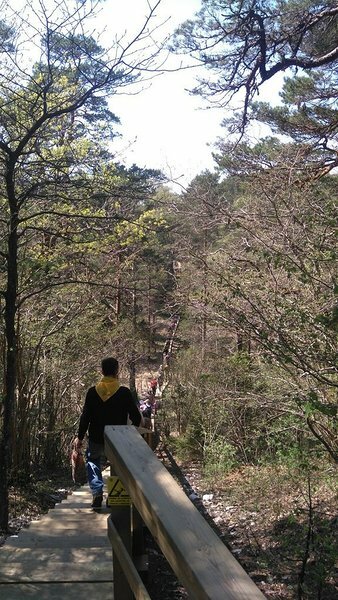 Thanks to favourable conditions, rich natural diversity and unique vegetation has developed in the nature reserve. Many protected vascular plants grow here, including the Saaremaa yellow rattle, Rhinanthus osiliensis, which grows exclusively in Saaremaa. 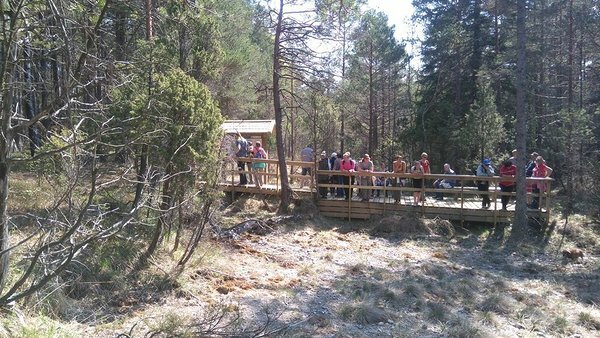 Possible to visit the permanent exhibition in Viidumäe Nature Reserve Centre. 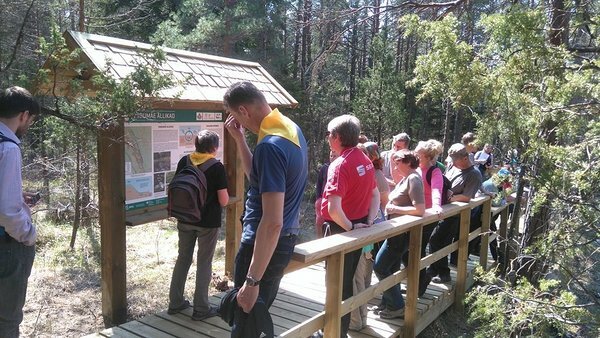 Additional information Viidumäe and Audaku study trails also start there. Restrictions Located in Viidumäe Nature Reserve. Information about restrictions can be obtained from the Environmental Board (+372 680 7438, info@keskkonnaamet.ee). Driving directions Drive 12.6 km along Kuressaare-Kihelkonna-Veere road and turn left to Käesla-Karala-Loona road. 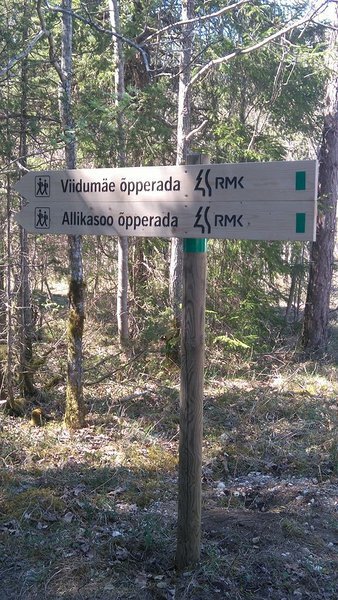 Drive 8.9 km up to a sign that directs to the right to Viidumäe Nature Reserve Centre. Drive 2.3 km on the gravel road, then turn right and continue until you arrive at a small parking area. 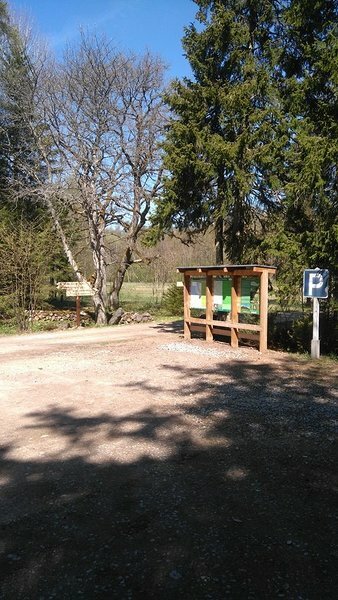 The parking area is the start of all the three trails introducing Viidumäe Nature Reserve.